For some reason, I didn’t discover the squeaky goodness of haloumi until about 10 years ago, which leaves 20 years I’m still making up for! My friend Anthony brought an odd looking blob of cheese to a picnic at a park behind my old uni share house, bbqed slices on the electric hot plate and added a small dollop of capsicum (I mean pepper) salsa. I’ve been smitten ever since. Sometimes when I eat haloumi it reminds me of this picnic and the park, which used to be an outdoor velodrome that they filled in and grassed over. In the years I lived there I didn’t know about it, so never cycled on it, which seems such a waste. Anyway, after thinking about what cheese to make next, I decided to try and make my own haloumi the other night. My final products were a little bitsy. But…a quick taste test just before bed suggested a good level of squeak and saltiness, and what seemed like the right hint of rubber. I’m soaking 5 pieces in brine in the fridge, and will try them over the next 1-2 weeks to see if they improve or decline. If I had a better pressing system (ie. not an slightly shaky column of recipe books, water filled trangia stove pot and a milk bottle), I probably could have made a better shape and size. I drew on two different recipes when I was making it – one from Alessandra Zecchini’s blog and another here. The version below comes mostly from Alessandra’s recipe, with some of my own comments added in. I started around 8pm at night and would probably start earlier next time or on a weekend as it takes a few hours with all the waiting and cooling. I started by sterilising my large stainless steel pot and skimming spoon by bringing 2 inches of water to a rolling boil for at least 5 minutes with the lid on. Put the milk into the pot and place it in a water bath (I used our kitchen sink and added in boiled water as needed). Heat the water bath so that the milk reaches 32C and then add the rennet, stirring it gently with an up and down motion. Put on a lid and let set for 55 minutes, keeping temperature constant (I did this by the keeping the water bath at around 40C). 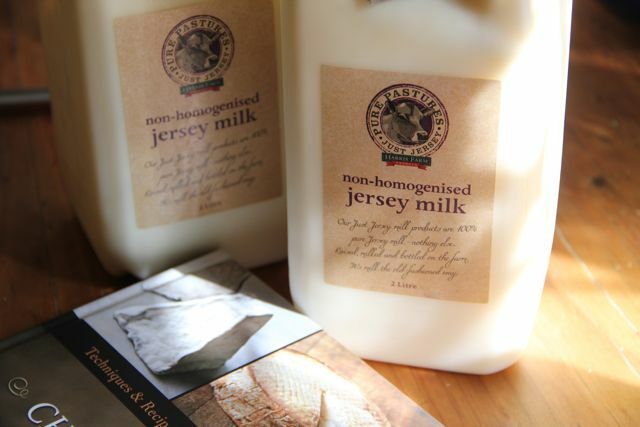 The milk should now be set. 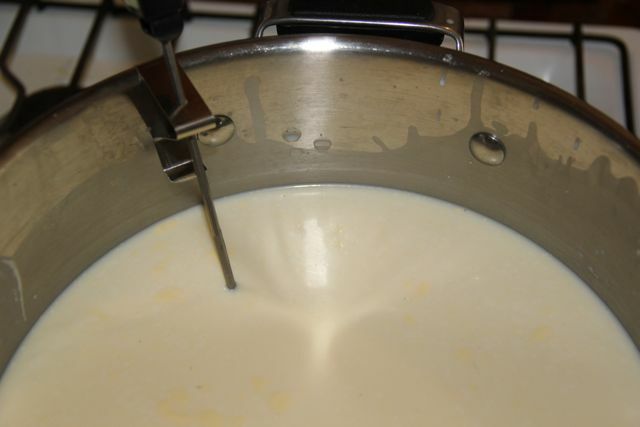 Cut across curd into 2cm squares, making sure the knife goes all the way to the bottom of the pot , wait 5 minutes. Slowly add more hot water to the water bath so that the curds reach 35-38C. Stir gently and keep this temperature for about 30 minutes. 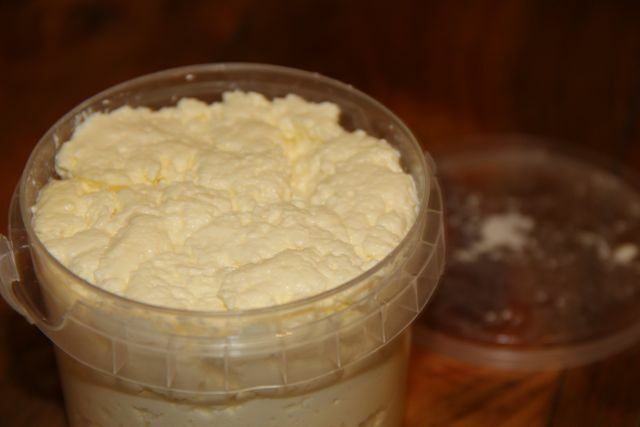 The curds should now look smooth and lightly elastic. Wait 5 more minutes, then scoop curds into cloth lined basket or colander that works with your press. Keep the whey. 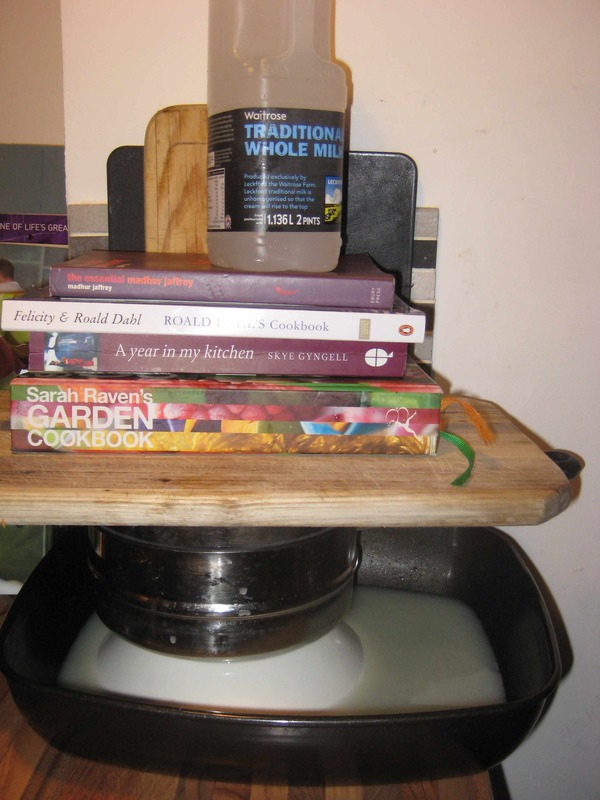 Cover the cheese with cloth and put a weight on top for 30 minutes – I used a strainer from my steamer for the cheese and then weighted it with a litre of water in a trangia camping stove bowwl, a bread board and then 4 recipes books and another 2 pint milk bottle with water in it. Some recipes press the curds for 2-4 hours, which would make a firmer cheese, but as it was getting late, I only did 30 minutes. 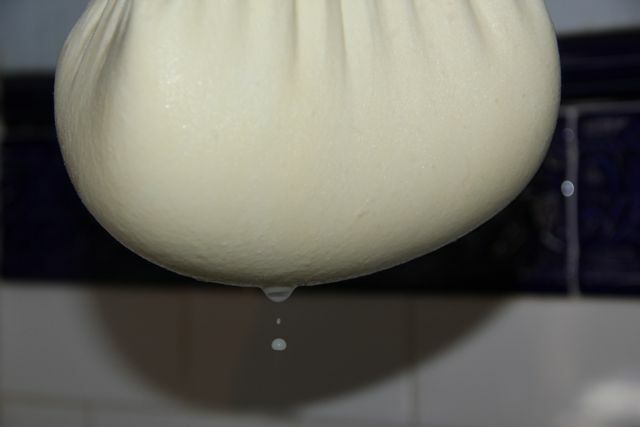 If you want to make ricotta as well, you can do this while the haloumi is being pressed. 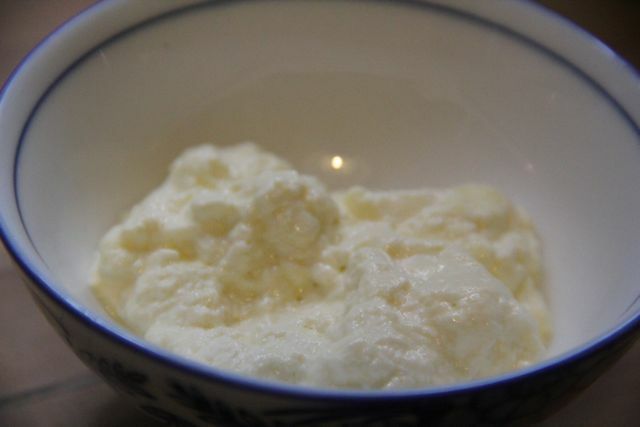 [Ricotta – heat the whey on the stove to 90C and then add 1 teaspoon salt and 2 teaspoons of white wine vinegar. Gently stir while cooking for 5 minutes. 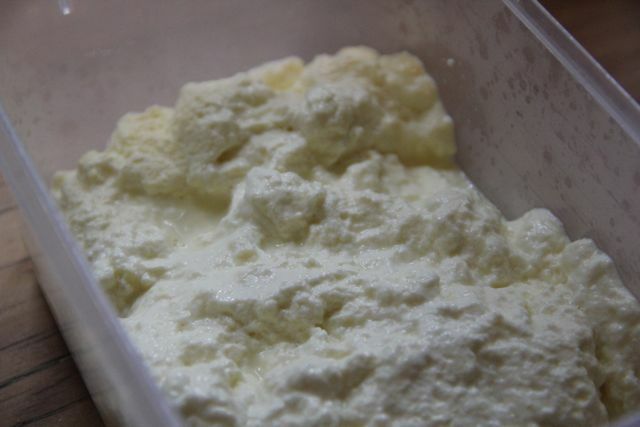 Foam should be forming on top, which is the ricotta. 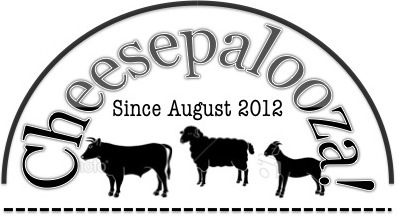 Back to the haloumi. 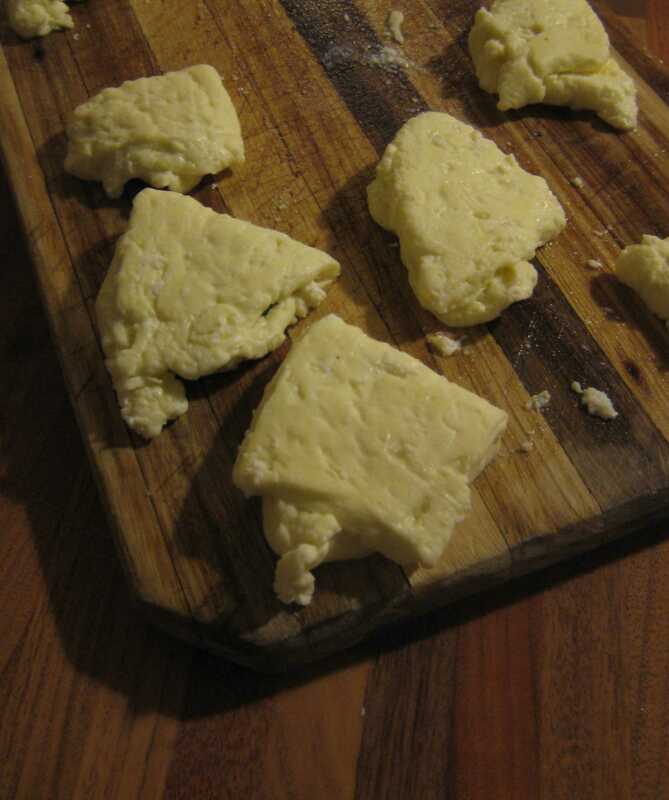 After pressing, unwrap the pressed curds and cut into blocks(I did about 2 inch pieces). Heat whey to 85-90C and place blocks in it for about 20-30 minutes, stirring occasionally. The cheese should rise to the surface when its ready. My cheese rose to the surface in about 10 minutes, so I kept cooking it for another 10 minutes to make sure it was cooked enough. Once cooked, take the blocks from the whey and place on a board to cool. Salt one side of each piece, add some fresh (or dried) mint to the middle and then fold over into a block. Repeat this with each piece. To keep and age, make a brine with 50% whey, 50% boiled water and 10% salt (I just added what seemed like a good amount of seasalt to the brine mixture). Once the cheese and the brine have cooled, add the cheese to the brine and put in the fridge. It can stay in this brine for up to 2 weeks. I fried up some of the cheese after 1 day in brine and it worked really well, although it was very salty. I might wash the brine off before I cook it next time. 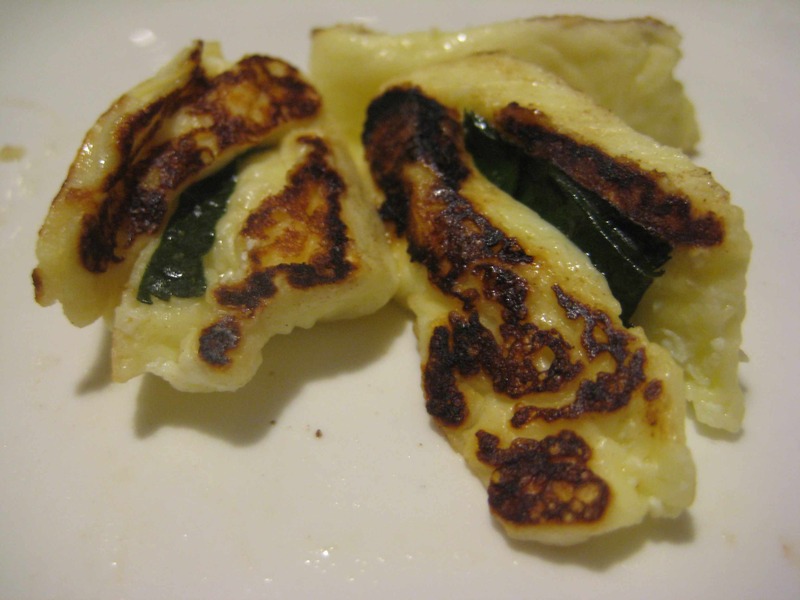 I really liked the addition of mint – it adds a nice light freshness to the salty firmness of the fried cheese.